The CD-10 Series Power Take-Off is a constant drive (non-shiftable) PTO designed for use on the Allison and Caterpillar automatic transmissions. 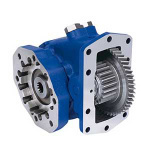 The CD-10 provides a functional alternative to front, crank shaft driven, hydraulic pump applications. A choice of popular S.A.E. 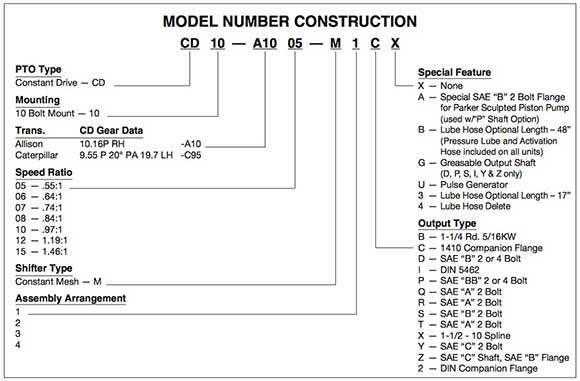 and DIN direct mount pump options and torque ratings of up 400 lb.ft. provide power and versatility for the most demanding applications. Its seven speed ratios make it easy to select the correct PTO for your application.